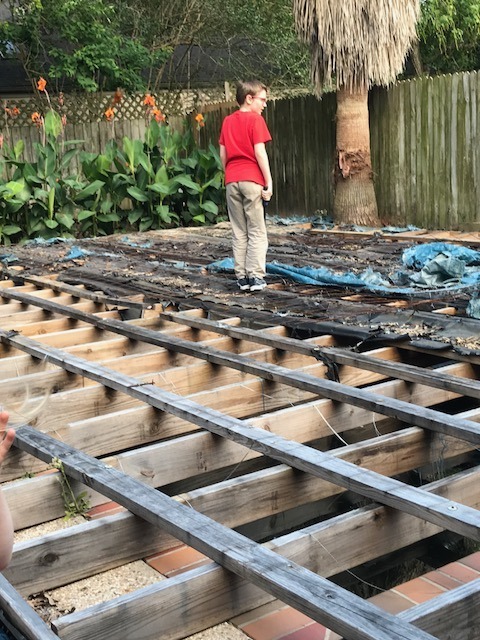 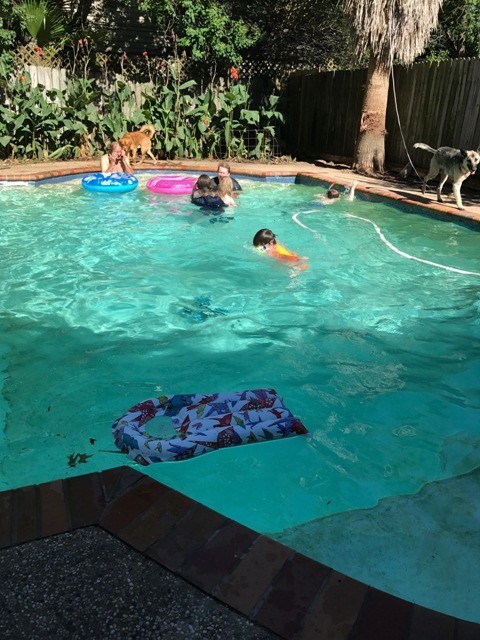 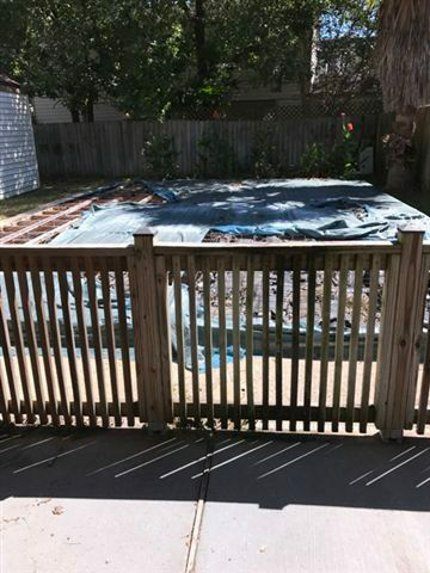 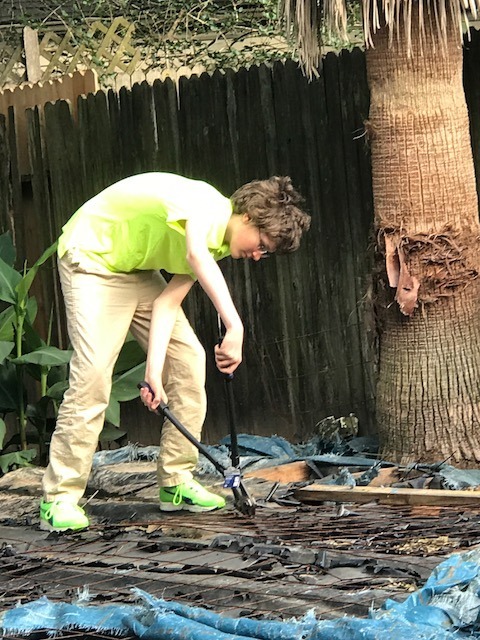 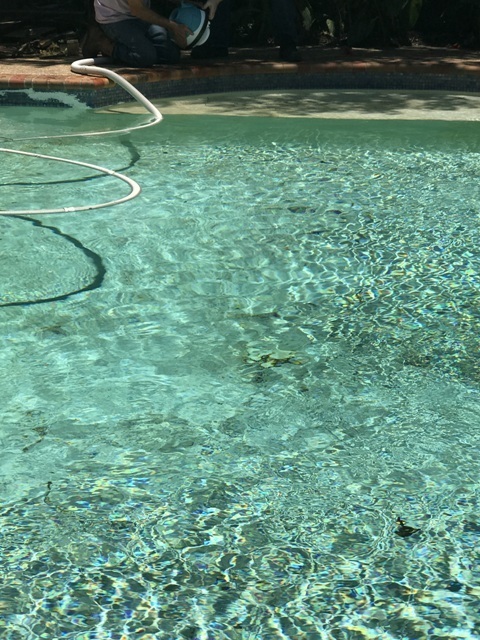 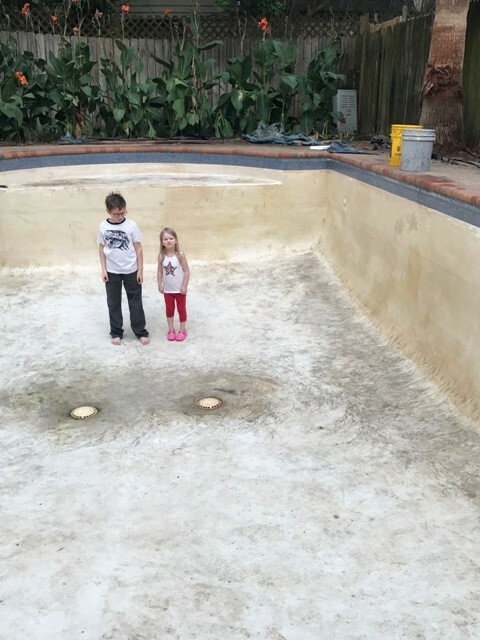 May 2017 the grandkids had a swimming pool in the back yard in Houston. 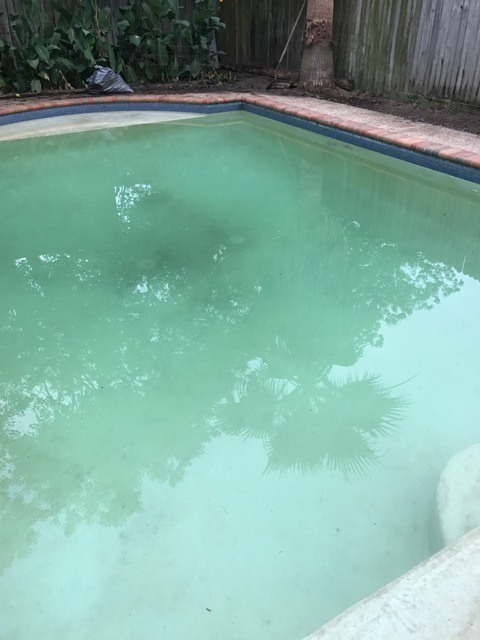 But it was full of leaves, grass, tree limbs and lots of frogs and tadpoles. 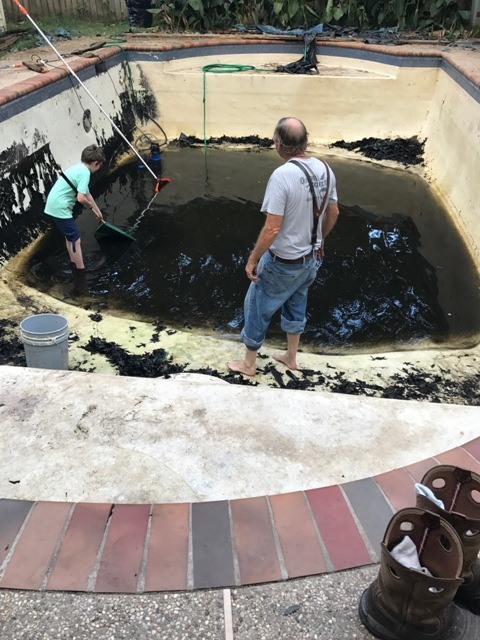 We started cleaning it out to swim.